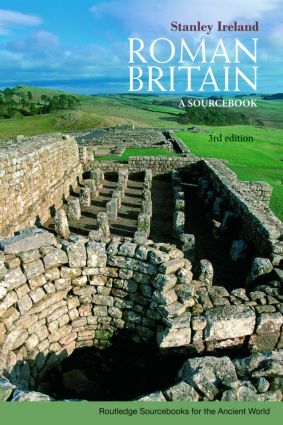 Roman Britain: A Sourcebook has established itself as the only comprehensive collection of source material on the subject. It incorporates literary, numismatic and epigraphic evidence for the history of Britain under Roman rule, as well as translations of major literary sources. This new edition includes not only recently discovered material, but also the texts of Caesar’s commentaries on his expeditions to Britain in 55 and 54 BC, as well as relevant sections of Tacitus’ biography of his father-in-law, former governor of Britain. The inclusion of these pivotal texts, which provide the most detailed account of the Romans campaigns in Britain, significantly underlies the volume’s usefulness to all students of Roman Britain. Though most of the material is arranged chronologically, there are also thematic sections on geography, religion and social and economic activity. Each section is prefaced by an introductory note, and the inclusion of illustrations and maps enhances the attractiveness of this updated collection as a teaching tool and a work of reference.